Intense, red daisy-like flowers with dark cones, produced on strong, well branched stems. Attractive to butterflies and bees Echinacea Salsa Red is free bloomer from mid-summer, for months until fall. The petals retain color, bright red and stunning in groupings along Agastache, Phlox and Sedum. Sombrero Salsa Red Coneflower is lightly-scented and the flowers are excellent for cutting. Echinacea purpurea, commonly known as purple coneflower, is an herbaceous perennial that is native to the central to southeastern United States. Easy-to -grow plants tolerant of drought, heat, humidity and poor soil. They bloom with showy, daisy-like flowers from mid-summer until first frost. 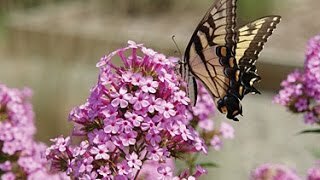 Fundamental flower for the perennial border, natural meadow, butterfly or pollinator garden, or native wildflower garden. Echinacea may be grown from seed sown early indoors and transplanted outside after frost, or sown directly in the garden in summer, or planted as a potted plant. Direct sow in late summer at least 12 weeks before the ground freezes. Seedlings will emerge in 10-20 days. 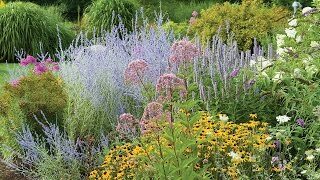 Divide perennials when plants become overcrowded, bloom size begins to diminish or plants lose their vigor. Divide echinacea every 3-4 years. Divide in spring or fall. When plants are dormant in spring or fall, dig clumps from the ground and with a sharp knife or spade, cut into good sized divisions, each with several growing eyes and plenty of roots. Remove any dead or unhealthy plant parts and cut back stems. Replant one division where the plant was originally and plant the extra divisions elsewhere in your garden or give them away to gardening friends. Plant the divisions immediately, or as soon as possible, and water well. Cut flowers when blooms open. Cones may also be cut for dried arrangements. Echinacea is a terrific plant for the pollinator garden. Echinacea, Sombrero Salsa Red is rated 3.7 out of 5 by 10. Rated 4 out of 5 by MD_gardener1 from Beautiful fiery red but dulls a bit over time Planted 3 of these this spring. Multiple beautiful red blooms. They start bright and cheery but dull a little as the summer wears on. Rated 2 out of 5 by Moongoddess from Interesting to watch the changes in the blooms. I was thrilled with the purchase and planned to order more this year, but, even though we mulched it heavily, it failed to winter and didn't come back. Rated 4 out of 5 by Lynnie49 from WOW !! Is it RED!!! When I first got it I didn't think it was going to make it. But it rallied and RED is all I see. Very happy plant and very happy plant parent. Thank you Burpee. Rated 5 out of 5 by Lisa13 from Really Red! I am very very pleased with the way this echinacea has grown. Here in upstate New York we've had a lot of rain and my 2 new Red Echinacea have just taken off. It is a true glowing red planted with a Baptisia between the two of them( with plenty of space for the Baptisia to grow). This is the first of the new designer Echinaceas I have grown in many years I was very hesitant at first, but now I'm glad I did. Rated 5 out of 5 by littlebird from Beautiful deep red Sala Echinacea This plant has just started to bloom and on what a show it is putting on. The blooms are such a deep, beautiful rich red velvet color. I plan to order more plants to beautify my yard.